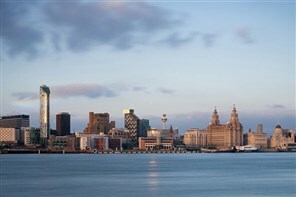 Liverpool has the largest collection of museums and galleries in the UK outside London. Liverpool has the largest collection of museums and galleries in the UK outside London. National Museums Liverpool's seven venues include the World Museum, Museum of Liverpool, Merseyside Maritime Museum and Walker Art Gallery. The famous Mersey Ferries cruises are unique to Liverpool and a great way to see the city. Stop off at Spaceport to explore all things intergalactic, or U-Boat Story for a fascinating insight into a World War II German submarine. Albert Dock is one of the countrys top heritage attractions, boasting museums, galleries, restaurants and bars. At the Dock, the Beatles Story is a huge draw for Fab Four fans, and provides a fascinating insight to the life and times of the Beatles. And Tate Liverpool stages international exhibitions of the best in modern art. The Magical Mystery Tour also leaves from Albert Dock, and is a two-hour journey around the places that made the Beatles, including Penny Lane and Strawberry Field. Liverpool Cathedral is Britains largest, and is a truly great and spectacular space. Try and catch one of the many events, or take the Tower Tour nearly 100 metres above ground for amazing views of Liverpool city region. The Bluecoat is a cutting-edge arts centre housed in a 300-year-old building, offering a programme of art, literature, music and dance. Its also home to a wide range of artists and creative businesses. Celebrate your style at Aloft Liverpool, a hip new hotel in the iconic Grade II-listed Royal Insurance Building, where you'll be surrounded by history and modernity. We offer easy-breezy access to The Beatles Story Museum, including the Albert Dock, and the Empire Theatre. Meet &amp; mingle with friends at our w xyz(SM) bar, grab a sweet, savory or healthy snack from re:fuel by Aloft(SM), our 24/7 pantry or play in our re:mix(SM) lounge. Plus, you can always stay connected with free hotel-wide wired and wireless High Speed Internet Access! Breeze into one of our Aloft rooms, featuring our ultra-comfortable signature bed, walk-in shower, custom amenities by Bliss® Spa and more. Our plug &amp; play connectivity station charges all your electronics and links to the 42 LCD TV to maximize work and play. After breakfast we check out of our hotel, to then make our way back in to Liverpool to explore. In the late afternoon we then head back for home.